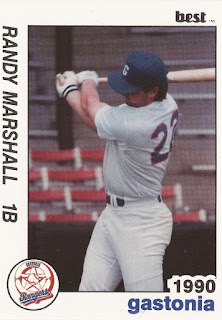 Charlotte Rangers manager Bobby Molinaro could tell it was going to be a low-scoring game, but he had Randy Marshall on his side. It was Marshall who gave the high-A Rangers an August 1991 2-1 victory with a game-winning single in the 10th, The Sarasota Herald-Tribune wrote. "It was one of those games where you had to scrap,"Molinaro told The Herald-Tribune. "Who's going to get the key hit? Fortunately for us 'Moose' (Marshall) got the key hit. He hit four balls hard tonight." Marshall got that hit in his third season as a pro. It was also his final season as a pro. Marshall never made AA. Marshall's career began in 1989, taken by the Rangers in the ninth round of the draft out of LeMoyne College in Syracuse, NY. At LeMoyne, Marshall provided another key hit, two of them. He hit two home runs against Arizona State to get his team to the NCAA Division I Northeast Regional title game. 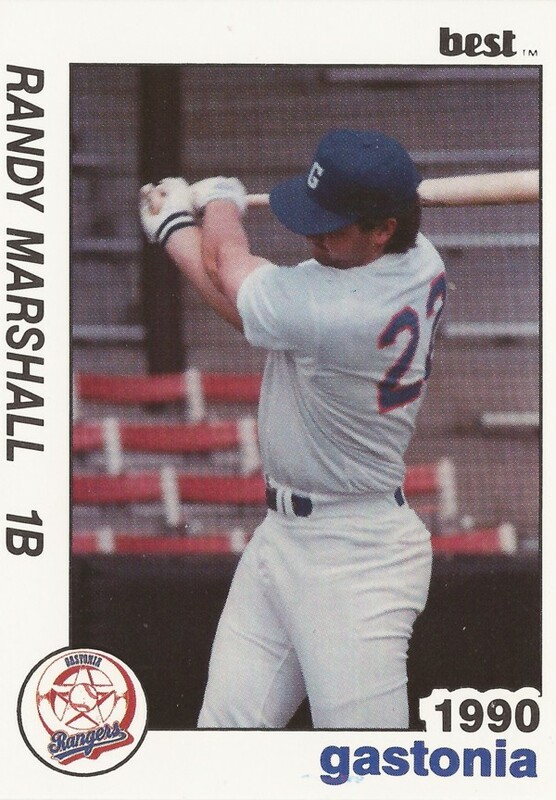 Overall, Marshall hit .374 for the club that year, hitting 11 home runs. He started with the Rangers at rookie Butte. He hit .267 there in 56 games. For 1990, he moved to single-A Gastonia. The first baseman's average came in at .249. He also hit 12 home runs. Marshall split time between Gastonia and Charlotte for 1991. He went 2 for 4 in a late-August game, knocking in three. Between the two levels, though, he hit just .224. He didn't come back for 1992.